← While we wait for the government to respond to the Independent Review, what agreement is in place with WestFor? 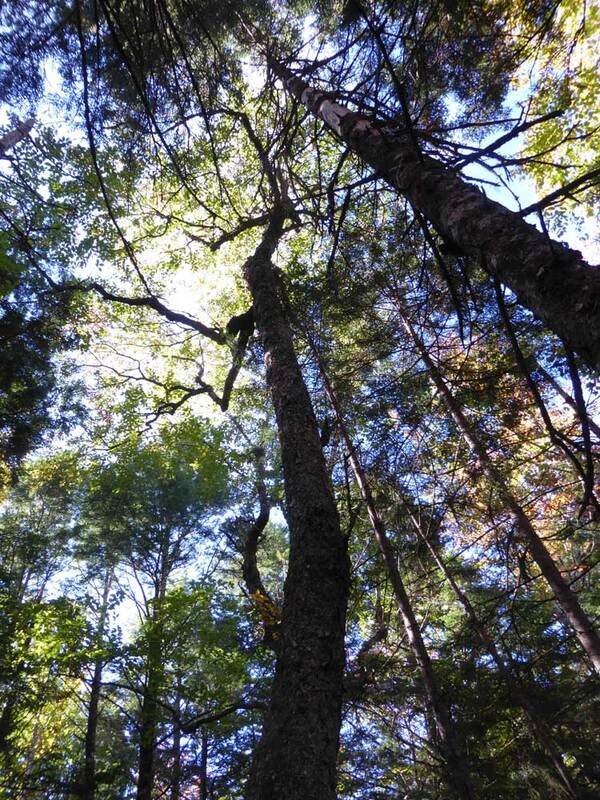 The site in Central NS hosts many 2ft+ dbh red spruce, hemlock and yellow birch, some red maple and occasional sugar maple and ash. and moved out with a mini forwarder (a Bison 10000). 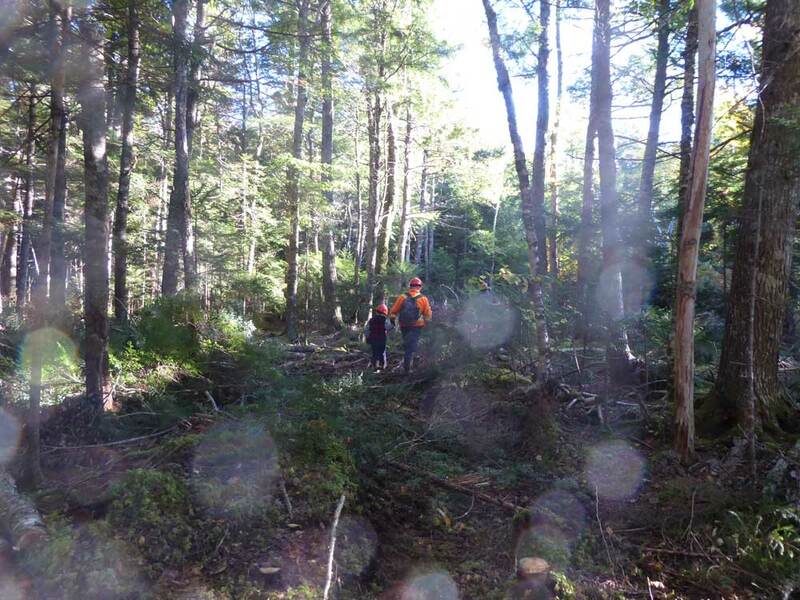 All of which, together with a lot more critical thinking about what to cut and what to leave, conserves most of the ecological integrity of this forest stand. 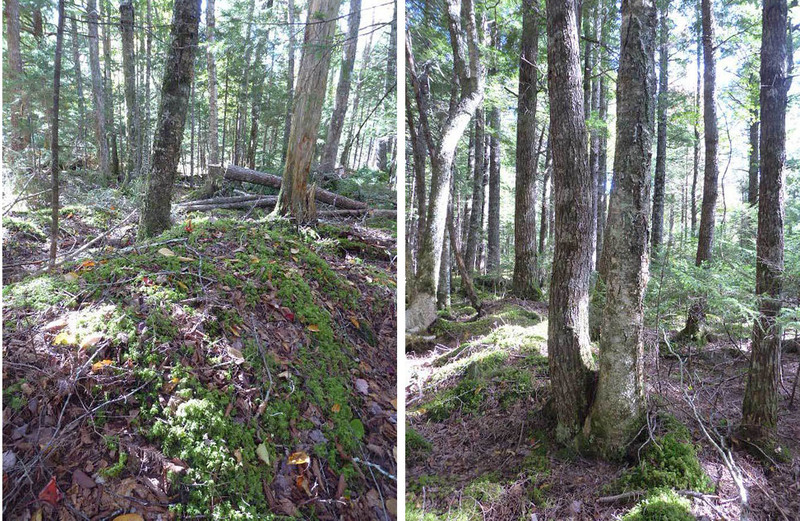 My explanation (hypothesis): the highly stilted yellow birches got established on top of the uprooted bases of large hemlock tip-overs soon after the tip-overs, as in the photo at right (taken at another site)…so the large roots enclosed, rather than were enclosed by, the mound that formed subsequently. 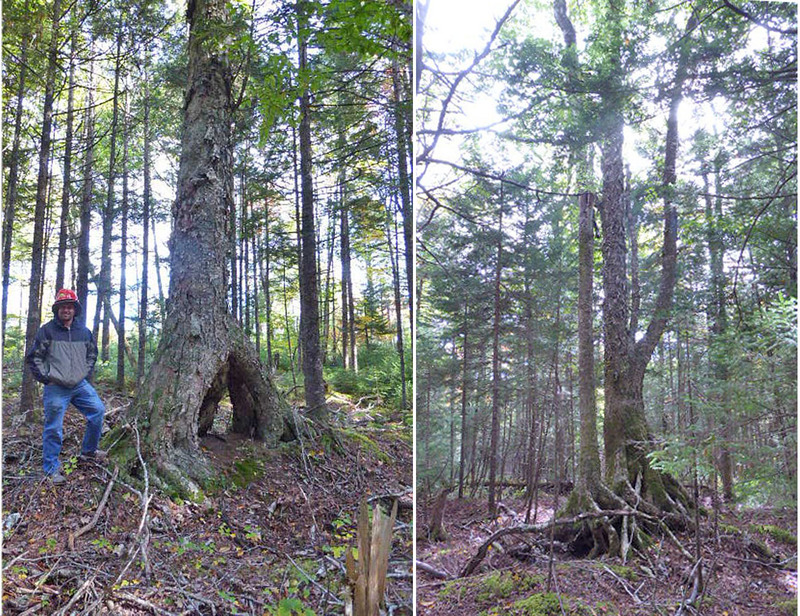 The tip-over at right is a hemlock, approximately 26 inches dbh (diameter at breast height), and was still living, the yellow birch about 3 years old. 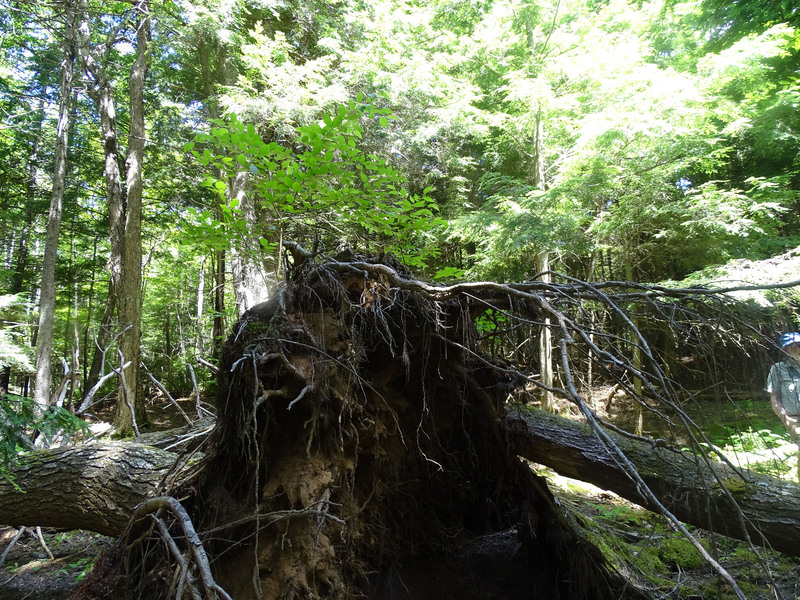 There are many stories to be told by these old forests. Conform said they were not going to sugar coat what they are doing at this site, and they didn’t. There are many challenges, and certainly added expenses, to this type of approach. 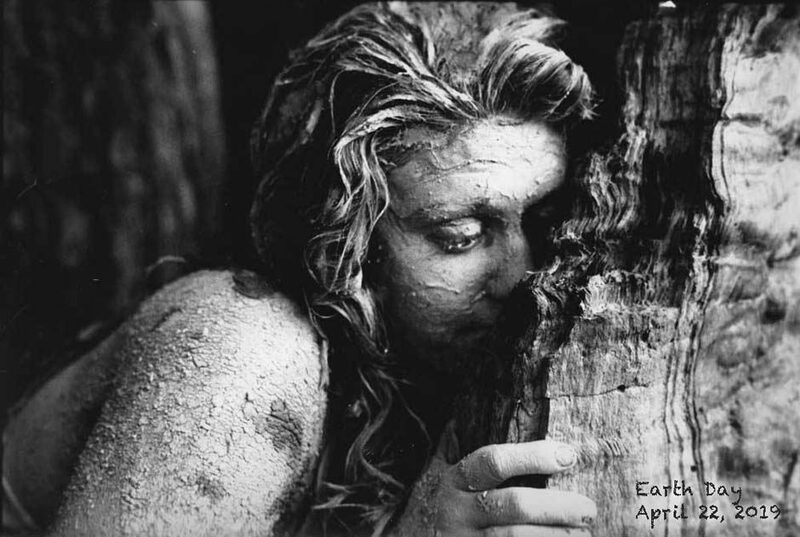 Thanks for the old forest and thanks for sensitive management of it. 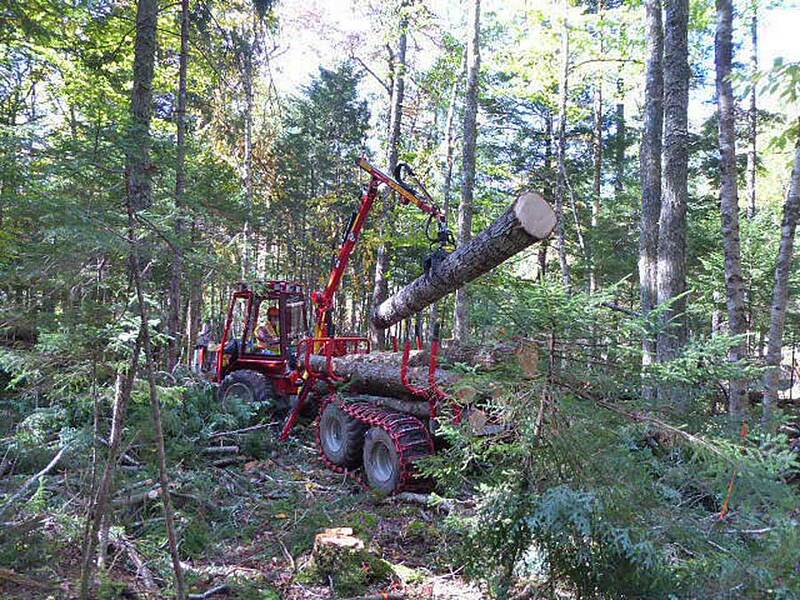 But it offers an option that perhaps many private woodlot owners in NS who want to conduct modest harvests while maintaining the ecological integrity of similar “over mature” stands (many of which would qualify as Old Growth) would consider*. I had invited a close relative who falls in that category to come with me to the event, which he did and his teenage son came with us. We all appreciated what we saw and learned. *View: Gifts to a Future World: Conversations with Woodland Owners in Nova Scotia by A. Kekacs (2017). 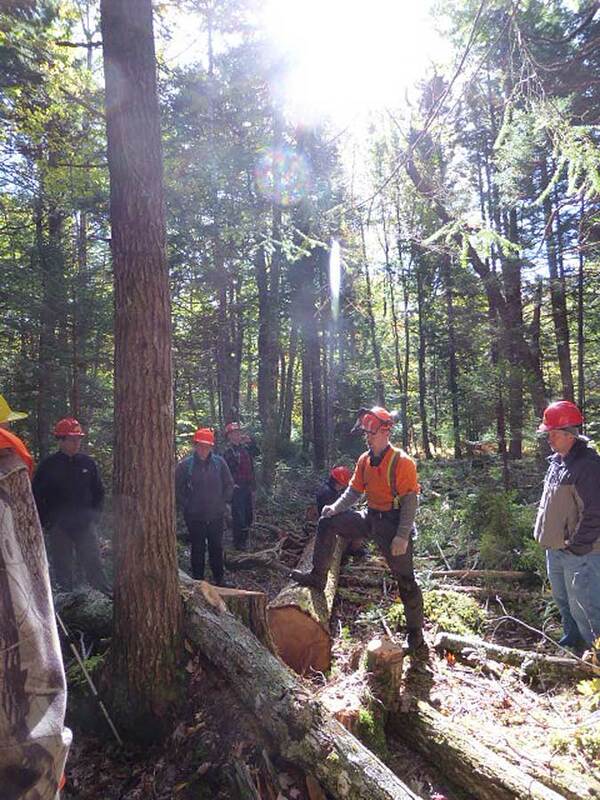 Thanks woodlot owner C.C., Conform, and NSWOOA. It was especially appropriate to see this site and efforts on Thanksgiving weekend. 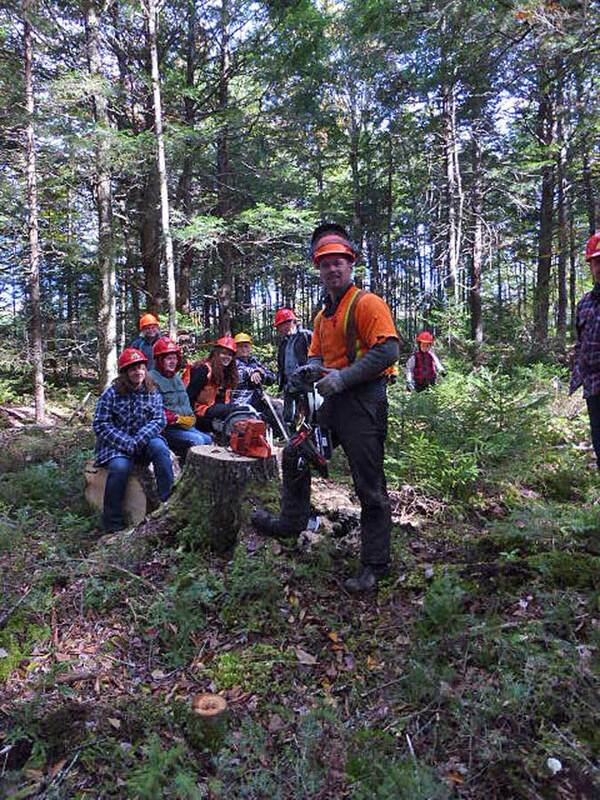 This entry was posted in Acadian Forest, Biophilia, Conservation, Private Woodlots, Selection Harvest. Bookmark the permalink.